The Dolomites are regarded as the most beautiful craftsmanship of nature worldwide. Already Le Corbusier, one of the best known architects and planners of the last century, thought so. Reinhold Messner, the best known South Tyrolean, stated that the Dolomites are not the highest, but definitely the most beautiful mountains in the world. The extreme mountaineer Hans Kammerlander, South Tyrol’s ambassador of the mountains, has climbed 13 of the 14 8000-metre peaks but still can’t be without his Dolomites. 2009 the Dolomites were declared World Heritage – Natural Site by the UNESCO. Val Gardena/Gröden is one of the best known valleys in South Tyrol and the Dolomites, and Ortisei/St. Ulrich is the main village of the valley. 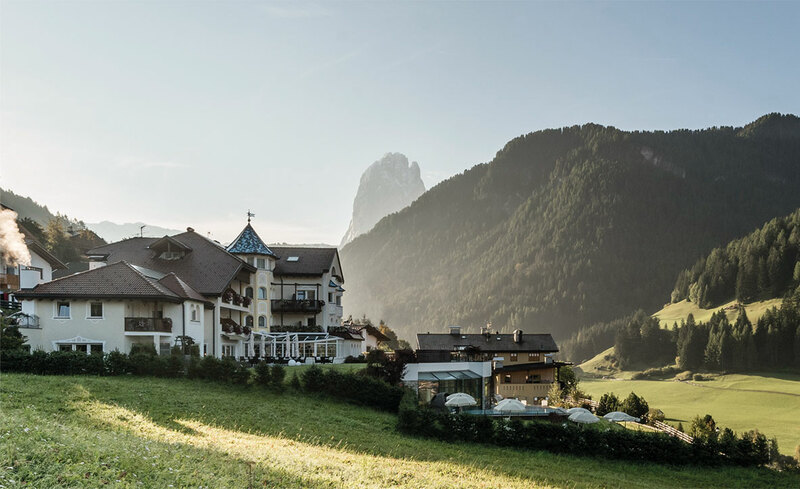 The Hotel Alpenheim – Charming Hotel & SPA is situated on the sunny side of Ortisei/St. Ulrich, not far from the centre yet not right in the middle of it.